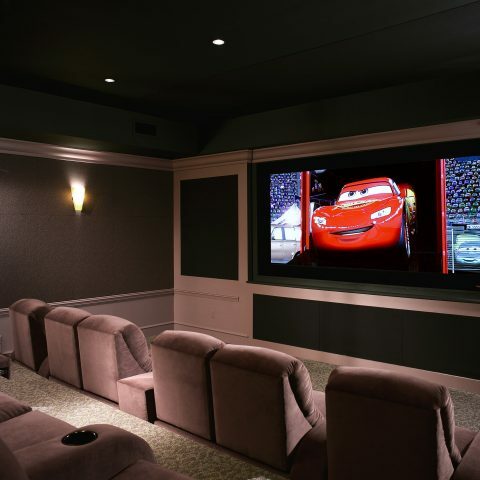 With 35 years of experience and 23 years in the same location, we have been working as home theater installers, providing top-notch home theater installation service for 1,000’s of commercial and residential clients. Our competitive prices make the difference and offer a wide range of services such as home theater design & installation, home automation, and home network setup. At Cinema Systems, we install HDTV, LED, LCD, plasma TV projectors, wall mounts and surround sound. We also do extensive network for commercial applications. While we take pride in our home theater installation service, we also focus on attention to detail, and provide end results that are functional and practical. We offer Low fee Estimates and consultations. Call Us Today. Our mission is to build long-term relationships with clients based on honesty, integrity, value and delivery of top-notch workmanship. We strive to make our clients happy because we understand how frustrating working with contractors can be. Our goal is to provide you with a home theater or any other digital home solution you and your family can enjoy year after year. We work to make you happy because happy clients lead to return clients and referrals! In 35 years of working with clients in the home theater space, we have learned a thing or two about what it takes to keep clients happy and coming back. Please read our home theater installer reviews and see what makes Cinema Systems the best in Southern California.